In an earlier What to Pack column, I discussed the importance of reading to your baby everyday, and suggested throwing a few board books into your diaper bag for impromptu story times. I am so passionate about this topic that I have decided to offer a continuing list of reading recommendations to keep you (and your child) inspired. Each month, I'll highlight a few books that you maybe haven't heard of that will delight children of various ages. You probably received books at your shower, for birthdays, and even picked some up on your own. Generally, these are the classics: I Love You Forever, Good Night Moon, The Very Hungry Caterpillar, etc. Don't get me wrong, these are wonderful choices and fit into any first library, but I hope to expand your baby book horizons by showing you a few lesser known titles and letting you know why I love them so much. To start, I'll focus on books for the littlest readers - birth to age 2. For this age group, board books are best because learning and experiencing the world is a completely tactile process. Babies are still honing their fine motor skills, and board books are made to survive grabbing, throwing, and chewing. Many of your favourite stories come in board book format, but stick to books with minimal text and large colourful images for this stage. Keepsake stories should be purchased in regular soft or hard cover because they are longer lasting. As with many books for this age group, there is no particular plot for this book. It does demonstrate many opposites and near opposites, but the real appeal is in the rhyme scheme and flow. The build up! As we go from page to page, taking note of the different sheep, we have the wonderful repitition of the refrain "where is the green sheep?" As children get a bit older, they anticipate the question, asking it aloud along with the reader. The illustrations are simple but silly. 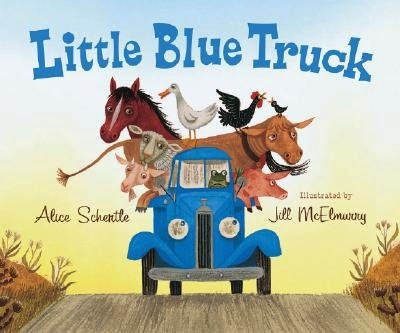 The little blue truck makes friends every where he goes, as he takes the time to beep hello to the animals he passes along his route. When a big dump truck, with an inflated sense of importance, zooms by and gets stuck in the mud, the little blue truck is the only one willing to help...but everyone steps in to help Little Blue. This book is full to the brim with sounds, which makes it very fun to read aloud. The rhyme scheme is spot on, flowing effortlessly like a song. Kids will love to quack, neigh, and beep along! Hands! This simply, yet beautifully, illustrated book takes a close look at hands. There is no true plot to speak of but it's a super fun romp with a few opposites thrown in. This bedtime story is entirely interactive. 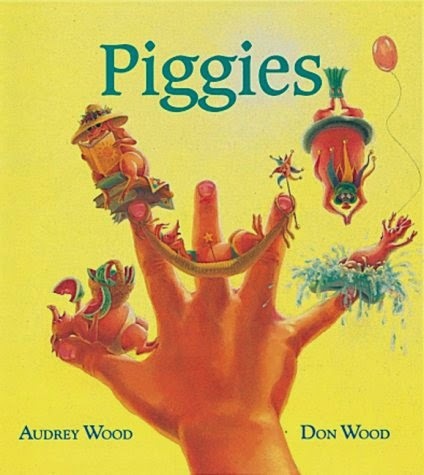 Children can follow along using their own fingers, and while it isn't set in rhyme it has a sing-songy feel. There is a lot to stop and look at on each page, so this book is good for multiple reads. It might even become a bedtime routine. Keep in mind, at this age babies don't have amazing attention spans, so manage your expectations before you start reading. You may have to stay on the same page for 5 minutes (and 13 read throughs) and you may not make it to the end of the book. Let your child choose the pacing by picking up on the signs they give you. Enjoy the experience. Point out different images and name them. Relate a line of the story to something you did that day. At this point, it's not so much about cover to cover reading, but about bonding and building a positive association with reading (while also building vocabulary).